Method:Preheat the oven to 350F. 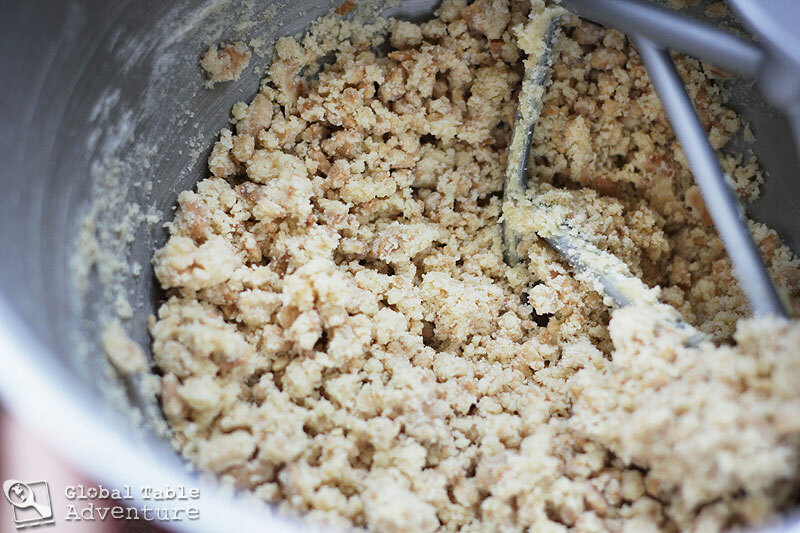 Meanwhile, chop up the peanuts into tiny pieces.Then cream butter and sugar in the bowl of a standing mixer. When soft and fluffy, incorporate the peanuts, vanilla, and salt. 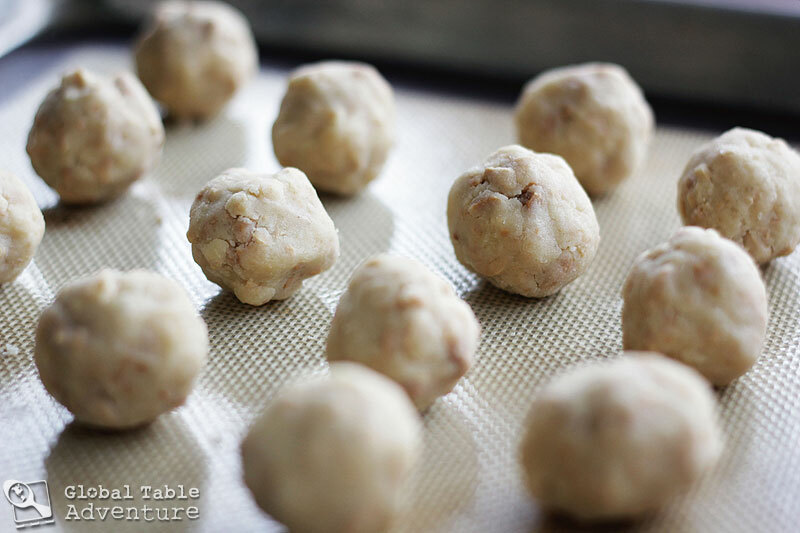 Pile on the flour and mix until… a crumbly dough forms.Press together with the palm of your hands into balls.